At The Bath Specialists, we never take shortcuts. With over 20 years of experience serving Durham Region and Peterborough, you can trust in our experience and expertise. Select a category to find out how The Bath Specialists can work for you. 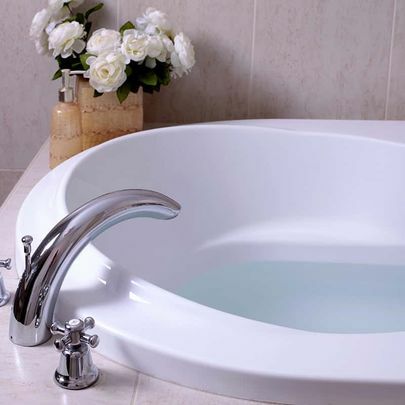 Why choose The Bath Specialists to refinish your bathtub? After more than 20 years proudly serving Durham Region and Peterborough, we have the answer! These days, bathtub refinishers are a dime a dozen… here one day and gone the next, professing to offer an extended warranty (in excess of their years in business, might we add!) So how to choose? At The Bath Specialists, we take quality seriously, beginning with our materials, and ending with our workmanship and guarantee. We use proven Bathtub King technology, perfected over 30 years and thousands upon thousands of tubs, and our work is proven to last. We proudly back our warranty, and our customers can take confidence in our years of experience, in business in Durham Region and Peterborough. As part of our process, we utilize a quality base coat, a step which is often overlooked by others as it is costly and time consuming. Without a good base, quality and longevity of the finish is compromised, peeling will occur in no time and adhesion of the finish to the tub will degrade. At The Bath Specialists, we don’t take shortcuts on quality! 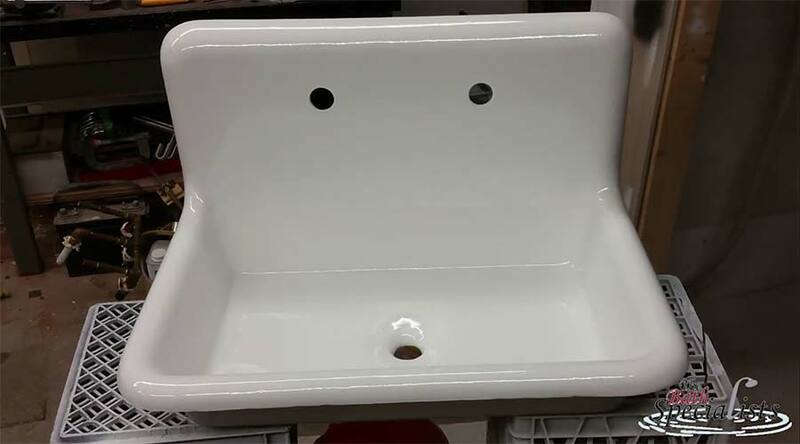 Call us today to refresh the look of your bathtub for a fraction of the cost of replacement! As part of our process, we utilize a quality basecoat. Without a good base, finish quality and longevity is compromised. Without a base coat, peeling quickly occurs and tub adhesion degrades. At the Bath Specialists, we never take shortcuts on quality! Unlike traditional bathroom renos, tub and bathroom refinishing is quick, clean, and best of all—totally affordable. You won’t have to deal with a team of workers, trudging through your home for days on end creating noise and mess. When you choose The Bath Specialists to refinish your bathroom tiles, sinks, and tubs, you can use your bathroom in as little as 48 hours. You don’t have to have your entire bath refinished either; you can call The Bath Specialists even if you’re in need of minor chip repair! 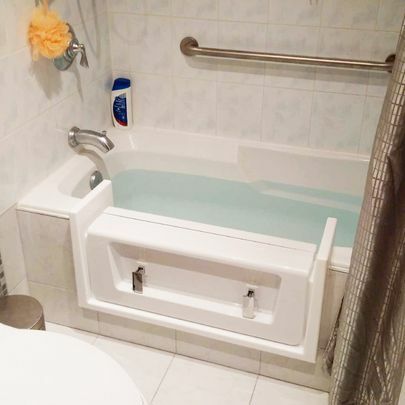 In addition to tile and bath refinishing we can also install acrylic bath and wall systems, and can even safe-proof your bathroom with anti-slip chemical coatings, grab rails, and more. 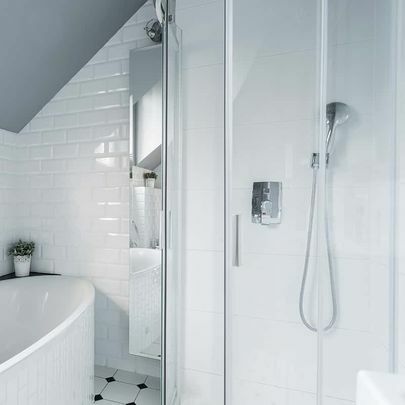 The Bath Specialists is the clean, quick, and affordable choice; we have a solution for every need and every budget, so don’t delay—give us a call today to refresh and renew your bathroom. If you’re looking for inspiration, check out our completed project gallery to see what we can do for you! 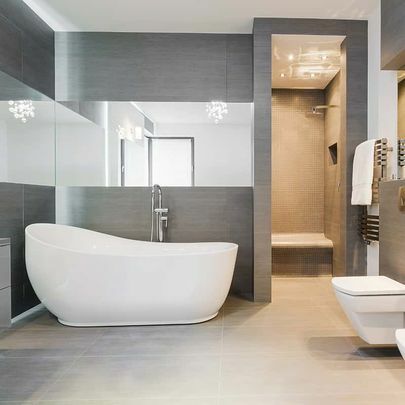 Call The Bath Specialists in Oshawa today to safe-proof your bathroom. Call The Bath Specialists in Oshawa now to get a quote for bath refinishing.